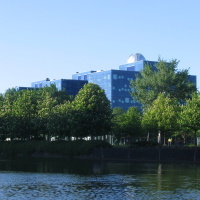 The probability and statistics research unit, within the Department of Mathematics, is part of the Bernoulli Institute for Math, CS and AI of the University of Groningen, the Netherlands. The focus of the group is network modelling, including random graphs, percolation, and inference. Graphs are an important paradigm for scientific research in the 21st century. Our group is focused on developing modelling and inference approaches for this emerging field. Our research programme spans the wide range of methodological developments and applied projects, from random graph models, sparse network model inference and systems biology, high-dimensional inference and inference of ODEs and SDEs.